Something a little different this week. I chatted with Matt Spaiser who runs the fascinating website dedicated to the sartorial Bond from the films and books. 1. In which book or books do you think Bond is the best dressed? James Bond’s wardrobe is quite consistent throughout all of the books, so there’s no single book where Bond is best dressed. However, You Only Live Twice is easily the low point in Bond’s dress, but that’s because he isn’t himself. He wears poor-fitting black trousers held up with a plastic belt! Live and Let Die is another low point in Bond’s dress, but that’s because he has to dress as an American. 2. How much of Fleming’s wardrobe found its way onto Bond? Most of Bond’s wardrobe was the same as Fleming’s. Bond’s lightweight navy suits, tropical trousers, white silk shirts, blue Sea Island cotton shirts, moccasin shoes and pyjama robes all could be found in Fleming’s wardrobe. The only part of Bond’s wardrobe that I haven’t seen a picture of Fleming wearing is the black knitted silk tie. Fleming usually wore a bow tie, but I’ve seen one photo of Fleming wearing a dark grenadine silk four-in-hand tie. Perhaps Fleming mistook his grenadine tie for a knitted tie, which is very possible because most people still can’t tell them apart. There is a passing resemblance between the two despite them not actually having anything in common. 3. Do you think that Bond’s clothes changed much between the 50s and 60s? Bond’s clothes hardly changed at all. 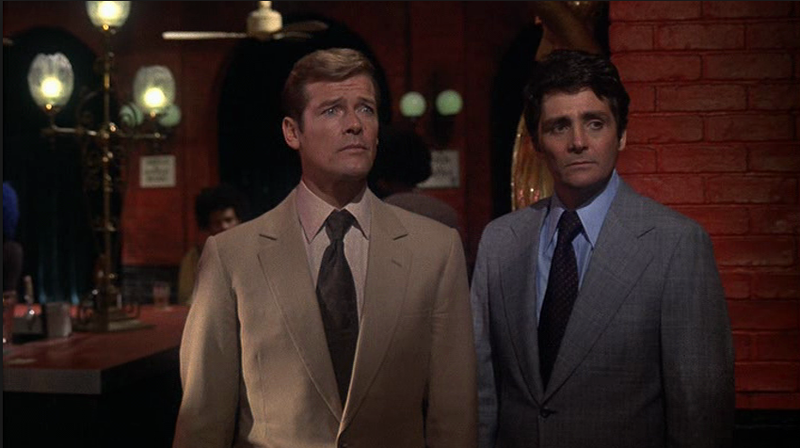 His basic wardrobe was established in Moonraker, and the same clothes are detailed ten years later in The Man with the Golden Gun. Fleming wasn’t interested in clothing trends, and he chose his own (and Bond’s) clothing based on comfort and a few odd quirks. 4. What clothing brands did Bond wear and can you still wear them today? 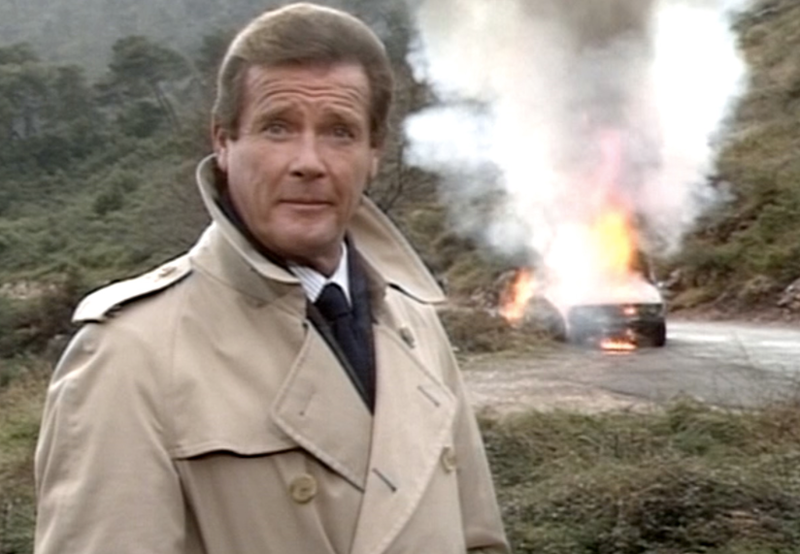 Bond’s clothing was only mentioned by brand three times: Saxone for the golf shoes in Diamonds Are Forever, Lillywhites for the ski-trouser in On Her Majesty’s Secret Service and Burberry for the raincoat in The Man with the Golden Gun. Saxone is no longer in business, but the other two are. 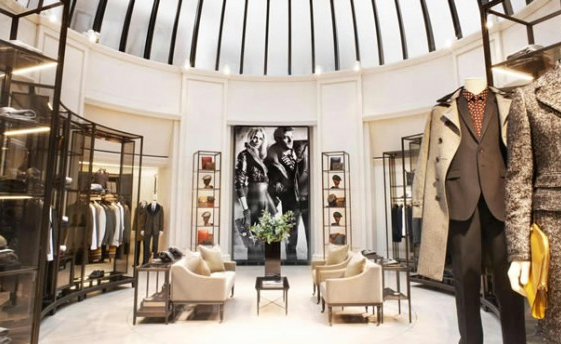 The Burberry is still the most well-known brand for trench coats, and Bond’s raincoat is mentioned to be dark blue in On Her Majesty’s Secret Service, though Burberry is not mentioned again. 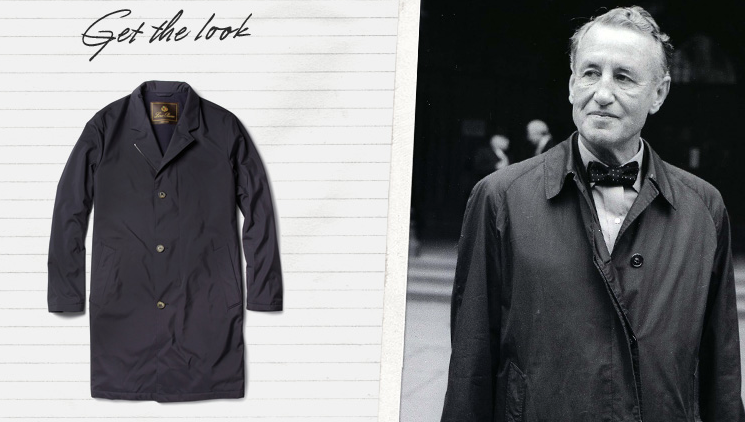 Burberry sells both double-breasted trench coats and single-breasted rain coats in dark blue. It is, of course, very easy to find a black knitted silk tie. Bond’s tailor was never mentioned, but Ian Fleming’s tailor was Benson, Perry & Whitley of Cork Street, which is two streets over from the famous Savile Row. Like most of the tailors from 1950s London, they are no longer in business. 5. How do you think Bond’s look in the books and films has influenced men’s fashion today? The book Bond’s dress influenced the film Bond’s dress, and film Bond has largely influenced the way people dress. The film Bond has certainly influenced the way I dress, but he’s someone I look to for inspiration rather than to mimic. The book Bond’s style is very quirky. He dresses down his suits with knitted ties and moccasins. And he wears rather unstylish short-sleeve shirts with a suit and tie. I don’t think the book Bond had any influence on men’s fashions, either in the 1950s or today. 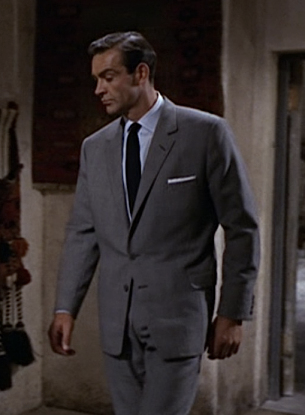 But some things Bond wore are popular today, like lightweight suits. Almost all suits made today are as light or lighter than the lightest suits made in the 50s and 60s. Also, Bond dressed down as much as he could whilst still dressing in a socially acceptable manner, and that’s an attitude that’s very widespread today. Matt Spaiser is a graphic designer located in New York. The Suits of James Bond closely examines the clothing of the Bond films and beyond.